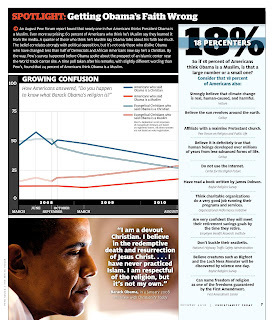 Christianity Today asks just how peculiar is it that 18% percent of Americans say that the President is a Muslim? Larger percentages than that believe various absurdities. Click on the image and magnify to read the text. I vote "other." He's neither Christian nor Muslim.